Hi! Welcome to my new look blog. I still have a few minor changes to make but overall it is looking how I imagined. I wanted a very clean look to go along with my style and I think I have achieved that. Enough about my blog though, the reason for this post is that it is time for a Little Tangles Challenge! 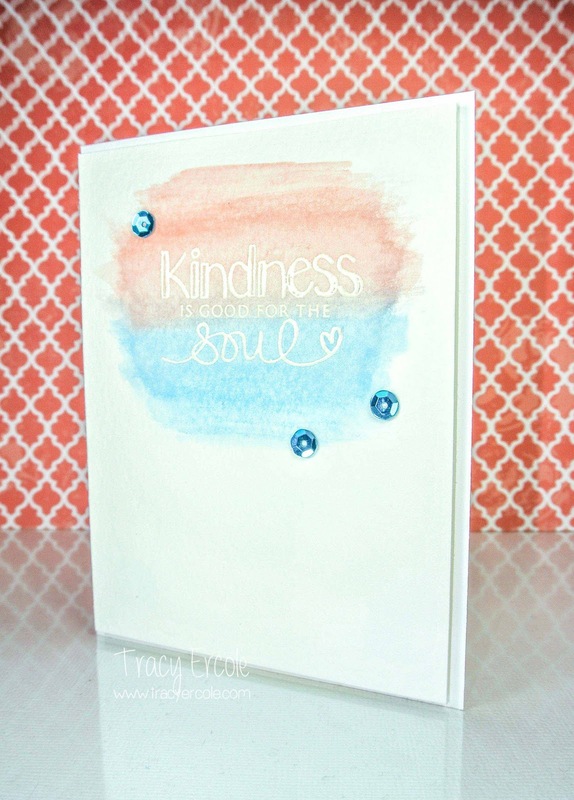 This time it is a colour challenge and the colours to choose from are gorgeous! You need to use two of the colours and as you can see I chose to use aqua and coral. 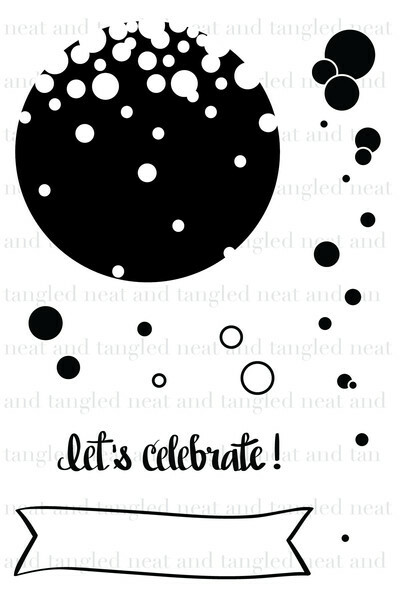 I used the let's celebrate sentiment from the Party Dots set. I actually made a different card first which you can see below too. I wasn't totally happy with it, I thought the colours were a little off and my water colouring could have been better so I made another one. If you don't have any Neat & Tangled stamp yet, still play along by grabbing one of the FREE digital stamps over on the Little Tangles Challenge blog. 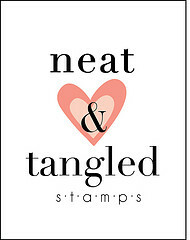 There is a fantastic prize up for grabs, a stamp set of your choice from Neat & Tangled stamps. 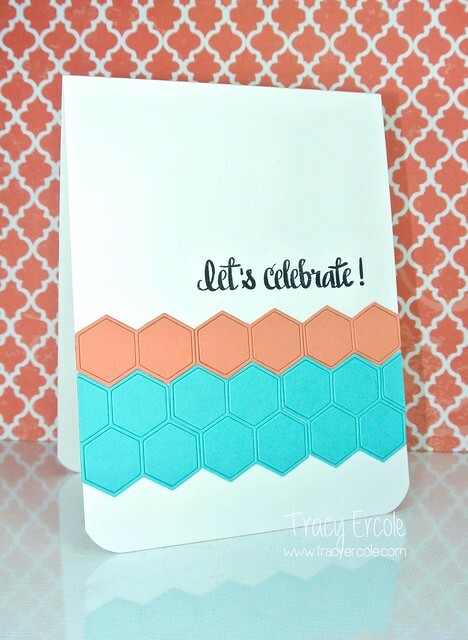 I can't wait to see what you create, link up your creation over on the challenge blog, you have until May 12 at 11:59 EST. Your new blog look suits you well Tracy, lovely photo of you too! Great card today and the first one was fun too!! Two for the price of one! 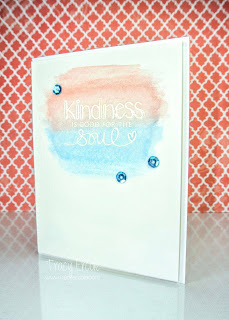 Love them both, but I think that the watercoloring one is my favorite, so so pretty, and loving the new look of the blog!